Just wanted to warn people not to get a case with a magnetic closure! The magnets mess up the screen and the S Pen no longer will write in the area where the magnet hits the phone. I saw some people had posted about this problem with the Note 2, but I wanted to let people know it still exists with the Note 3. I only used my case for 2 or 3 days before I noticed the S pen wasn't working on part of the screen and figured out it was because of the magnets. I have stopped using the case now and it seems to be working a little better, although I'm not sure if my screen is back to its original state. I only hope the case didn't affect it permanently. Be careful with your choice of case! crivera7836, mrwallyy, Amir and 2 others like this. I have been using 3 different magnetic cases for over for over a month now. After seeing your post, I went and pulled out the S Pen, and tried to find a spot where it wouldn't write.. After about a couple minutes of that, the S Pen wrote everywhere.. Here is the case I have it now, it has a magnetic flap.. Magnets causing problems in cases have been written about repeatedly. My first case had a magnet closure and it started to have a problem sporadically. then when it became permanent I thought I'd have to take it to AT&T for repair. When I wrote all over the screen to find the dead spot, I realized it was a round circle just like the magnet. I took the magnet out, the dead spot would get less and sometimes not be there at all. Occasionally lines still got distorted but gradually it stopped happening, as if once the magnetic distortion was gone it gradually fixed itself like a stretched rubber band allowed to relax. When I wrote this up in the first Note forum, several people said they had magnetized cases and had no problems but more and more people logged in and agreed with me or wrote new threads about the problems with magnets. I sure wouldn't risk damaging a device worth hundreds of dollars with a 20 cent magnet when a bit of velcro will do. You just fixed my issue! I removed my tablet from the case and now it works fine. 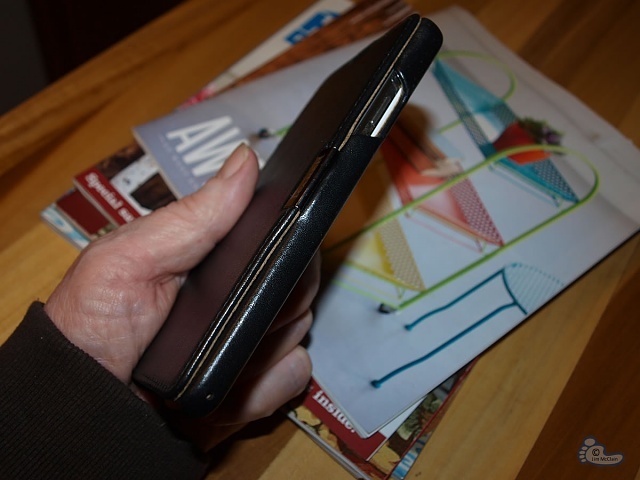 Same thing happened to my note 2, the magnet was on the side of the case but still caused a problem. Once I took the case off the problem went away. It was reported on some Amazon UK case reviews (side closing ones) that owners experienced a dead area up to an inch away, and it took 12 - 24 hours with the case off before the area recovered. So I was reluctant to buy this type and initially ordered a Spigen Neo Hybrid to arrive at the same time. Shortly after I ordered a Terrapin flip case which I have been using happily since. There was only one vague review at the time and I didn't know if it had velcro or a magnet. It has a flap with a little magnet that comes under from the back (top hinged faux leather), covers the charge port and grips above the home button and a little higher. Obviously there would be a little metal inside the flip cover to match. I guess most of you have seen them. Apart from the first couple of days when I wasn't sure, it has not affected the screen in that area. 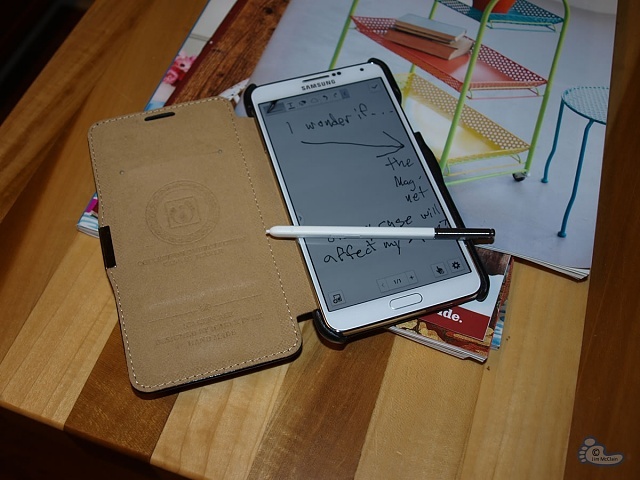 After reading so much about the problem of magnetic cases I worried about finding a decent case for my Note3. I ordered one case that had no magnet and found it very difficult to remove the phone from the case when I needed to mount the phone on a stand for the work I do. I watched and read a lot of reviews and looked at a lot of phone cases. I saw far too many that looked like women's clutches. I may be what some refer to as metrosexual, but I definitely lean toward a more masculine style. A guy in hick country can't be too careful, ya know. I found a handsome looking case made by I-CARER, but it had a magnet. The literature from the manufacturer assured me there was no problem with this magnetized closure. I ordered it. When it arrived, I could see that the magnetism of the closure was pretty weak and was mounted on the very edge of the case, separated by a barrier of leather (or something). I never had any of the problems I read about, but I did even further testing from what I read in this discussion. You can see, after having used this case for over a month now, what affect it has had on my S-Pen: none. I love this case. The phone comes out easy when I need it too, the corners, face and back are well protected and it don't make me look like a sissy-boy. I want to use a magnetic phone-mount for my vehicle. I'm thinking about the magnetic shielding used in loudspeakers for close-placement near the older CRT monitors. Adding some of this shielding film between the back of my phone and its case should help, if not nullify the problem altogether. Anybody have any experience with doing something similar? Thanks. It would probably also inhibit the use of wireless QI charging and NFC stuff. Probably. I'm-a check it out. I have a Note 4 and I bought a case that was magnetic and it has caused problems with my phone. I am so disappointed. The case is really cute and convenient, but I need my phone to function properly more than I need a cute and convenient case. Ugh!!!! I don't know what to do now. 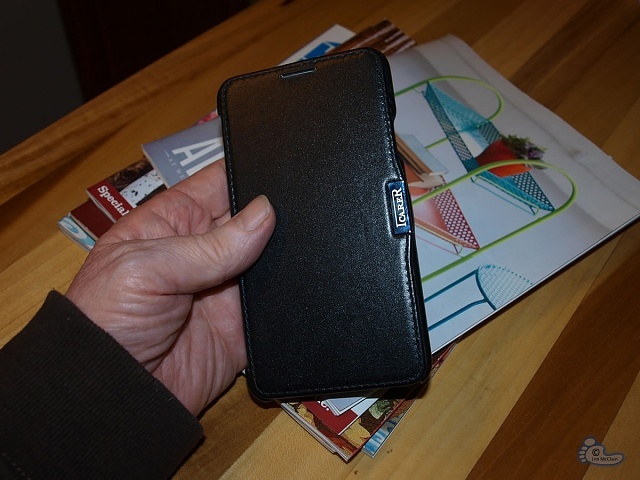 I just got a note 4 and a wallet style case with a window, and magnets all over the darn thing (one on the clasp, one in the back, and one in the front). I started having problems with my s-pen, found this thread, then started searching for info on what shields EMI. I went home, cut small plates out of 2 small jar lids, stuck one behind my phone, and one in the card holder in the front, and now my s-pen has no problems. I even did the before and after s-pen test. The before shows a circular area that the pend skips, and the after colors straight through. Hope this helps others.